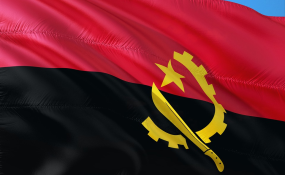 At least 30 people died after a mine collapsed at Chipindo municipality in Angola's south-west Huíla Province, state media confirmed. According to Radio Nacional de Angola (RNA), the tragedy happened at Chiwele locality where the illegal gold miners were at work. "The prospectors were extracting gold in the mine when it collapsed due the ground humidity," RNA said. Huíla Province, about 904km south of Luanda, is rich in mineral resources, that tend to attract people from far and wide. The region is the second most populous after the capital. The minerals found in Huíla Province include iron, gold, kaolin, diamonds, manganese, mica and black granite. Cases of mines collapsing and trapping prospectors are commonplace in southern Africa. An incident in Zimbabwe last month killed at least 24 illegal miners.